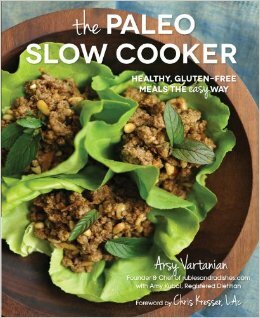 Perusing the aisles of the local Whole Foods, I spotted the cookbook section where Arsy Vartanian’s The Paleo Slow Cooker caught my eye with its vibrant picture of Ground Lamb with Pine Nuts and Mint. After a quick flip, I added this cookbook to my cart. Having a slow cooker at home, I thought this would be an ideal way to introduce the “Paleo Template” (Vartanian 8) to my family. Up late into the night reading The Paleo Slow Cooker, I was inspired by the simple recipes and rarely used (by me) ingredients. In addition, the organization of the book seemed ideal for the Paleo beginner like myself such as an Introduction with a Guide to Using Fats and Oils. Color-coded chapters represent recipes for different proteins as well as appetizers and desserts. Who knew one could make a Paleo-friendly finish to a meal in the slow cooker? Anxious to attempt a recipe, I was drawn to the Chicken with Mushrooms and Artichokes. Easy! The recipe called for ingredients I typically cook with and have on hand such as boneless/skinless chicken breasts, onions, and mushrooms. Thrilled the recipe also called for paprika, I think I have only ever used this spice as a finishing touch to deviled eggs. 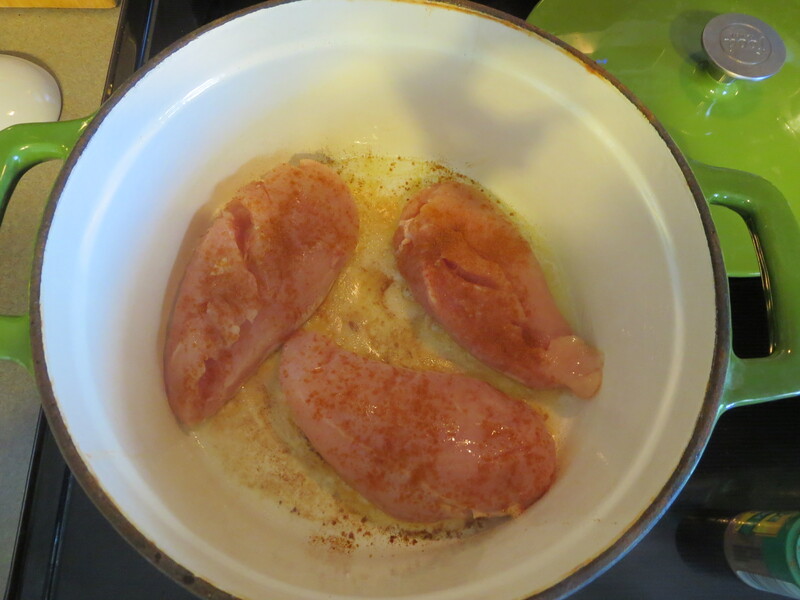 Browning the paprika-coated chicken breasts. 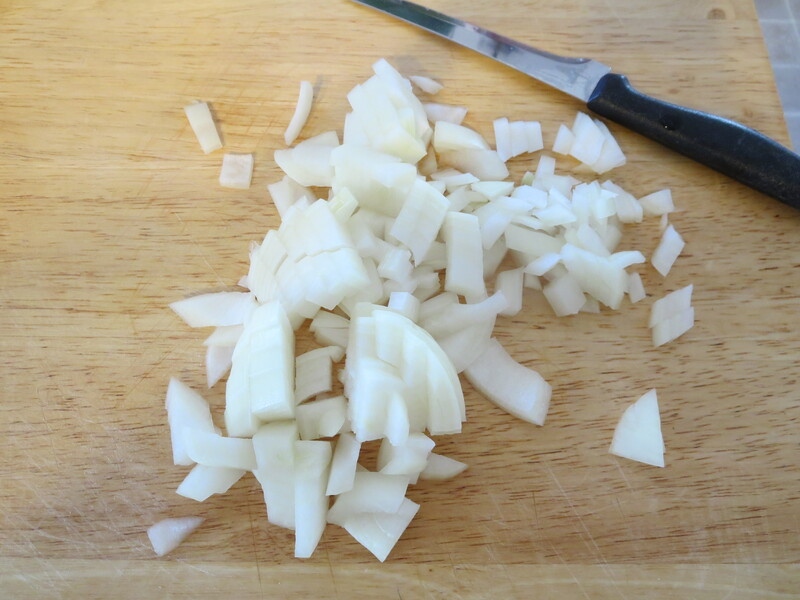 Chopped onions ready to brown and then toss into the slow cooker. 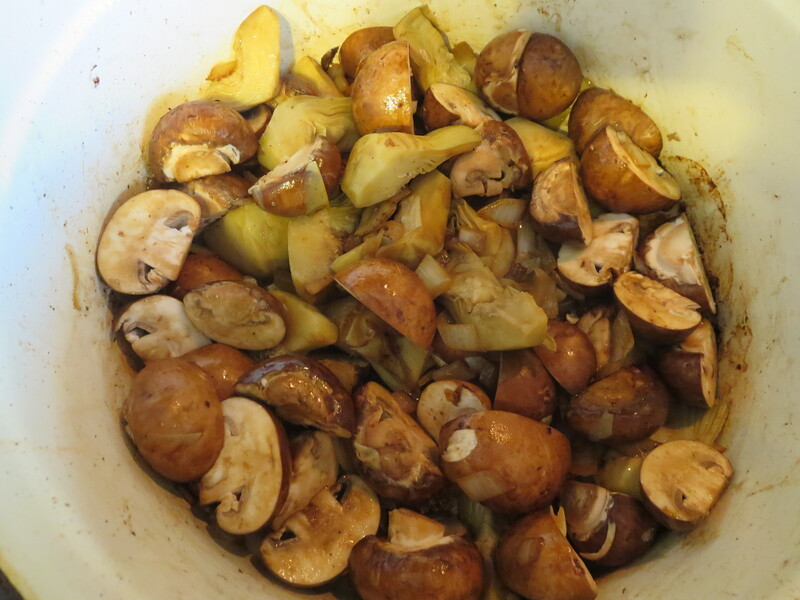 Artichokes, mushrooms, and onions being browned in a heavy-bottomed pan. With aromas filling the air as cooking time increased, my girls asked to sample the dish immediately upon completion. My eldest daughter responded, “This chicken is tender!” a definite thumbs up coming from an eight-year-old. 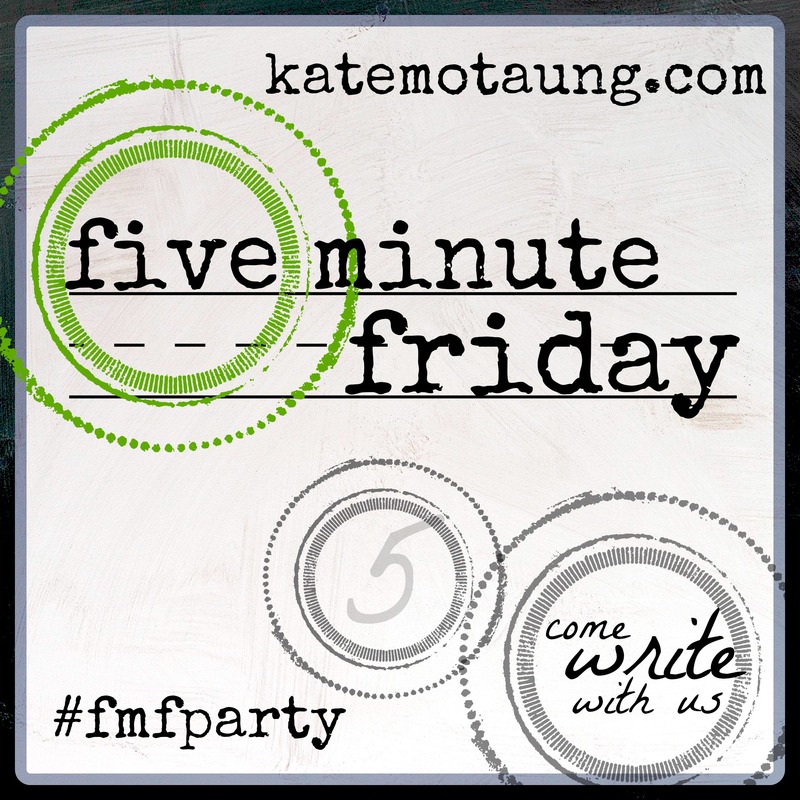 My critique of this work first comes due to a split infinitive, “If you choose to not include . . .” (32), and then followed by a spelling error, ” . . . conatins” (39). The English teacher within is hyperventilating! In an ideal world, too, I would definitely appreciate additional stunning pictures of the dishes. For me, I like to know if what I cooked is close to being on the right track because I am, without a doubt, a novice when it comes to Paleo preparation.